What Are Your Menopause Symptoms? Are You Having Menopause Symptoms? Menopause symptoms can seriously disrupt your life. But treating symptoms individually won't get you far. You need to get the big picture. An integrative approach to menopause symptoms means taking this time in your life to examine how you are doing in all areas of your health and wellness. All parts of your life are interconnected. No one goes through menopause in a vacuum. And no two women go through menopause in exactly the same way. 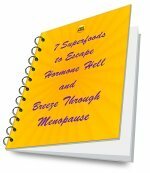 The truth is that menopause is a wonderful time of transformation. It's a natural phase of development that brings women to a new stage of life. It can be the most rewarding time you have ever known. But many women get bogged down with their menopause symptoms. These can start in your early 40s or even sooner. Here are the symptoms to look for. You may know these common symptoms of menopause all too well. But many women in the early stages of peri-menopause don't figure out what is going on. 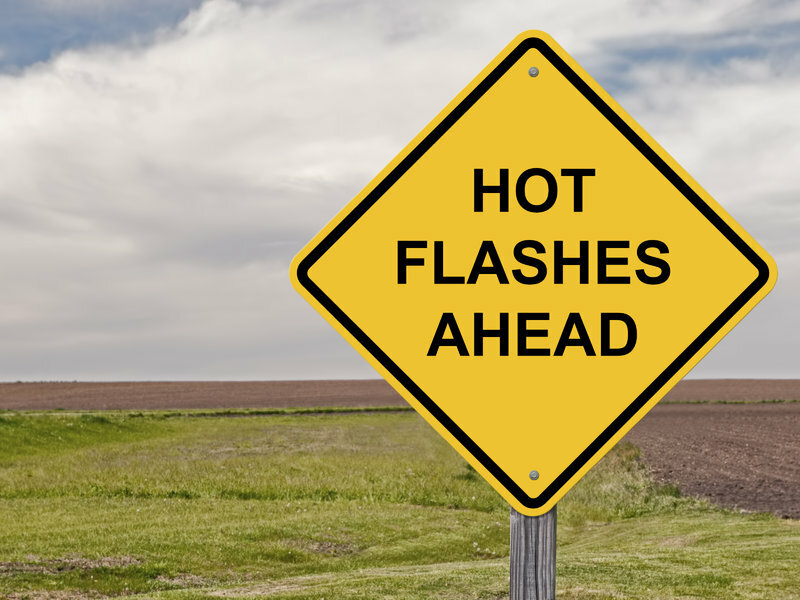 If you haven't had the pleasure yet, a hot flash is a momentary sensation of heat that may be accompanied by sweating. Some people also refer to it as a "hot flush" when that heat and sweating is accompanied by a red, flushed look in the face and neck. When your hot flash occurs at night, it's referred to as night sweats and can interfere with sleep, compounding your problems. The severity and duration of hot flashes vary among different women. They can last for a minute or for an hour. When they're finished some women experience chills. You might experience hot flashes for a brief time during menopause whereas others have them the rest of their lives. But generally they become less severe as time goes by. Click here to discover WHY we get hot flashes and night sweats. For some women, hot flashes and night sweats can also be accompanied by rapid heart rate which they can even describe as an anxiety attack. Some believe that they are having symptoms of a heart attack. I heard Oprah once tell her audience about having heart palpitations and going to a series of heart specialists, none of whom could find anything wrong with her. Later, while interviewing a menopause expert, she realized for the first time that she did not have a heart condition but she was having a form of hot flash. It makes you wonder how many other women are put on anti-anxiety or heart medications because of their heart palpitations when they are really just having a power surge. No discussion of menopause symptoms can ignore the threat of breast cancer. Since 1950 breast cancer has risen by 60%. In North America alone a woman dies of breast cancer every 12 minutes. What's causing this? Experts agree that 80% of breast cancer is driven by diet and environment. Only 20% is genetic. It's well known that estrogen is a major contributor to breast cancer as well as to endometrial cancer. One big factor in the rise in breast cancer is the use of synthetic hormone replacement therapy. Prescription HRT has been called the greatest experiment ever performed on women. 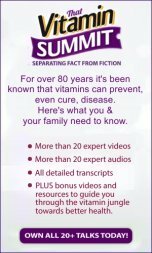 It was prescribed for decades without clinical trials proving either its safety or efficacy. That's why it's so important to balance your hormones naturally without using risky drugs. In peri-menopause and menopause your body relies on progesterone produced by your adrenal glands. But the adrenals also manage your stress. If you are overloaded with stress, your body diverts progesterone to deal with the crisis. Very little can be left over to balance out your estrogen levels. Many women in menopause or peri-menopause feel the loss of their energy. There are two main reasons that you may not be feeling as energetic as you once did. The first is that your energy is being siphoned off. Family, friends, and business associates could be sapping your energy. Your internal critic or your own negative thoughts can be doing the same thing. The second reason your energy may be down is that you haven't given your body the fuel it needs to do all of the things that you want or need to do everyday. your body changes in menopause and it needs a higher quality of fuel. Click here to learn what to eat at menopause. Some weight gain at midlife is innocuous. Weight gain in peri-menopause may go away when you reach menopause as your metabolism adjusts and stabilizes. But some weight gain is a health risk. Excess belly fat is more dangerous than fat on your hips or thighs. Beware of the apple-shaped figure more than the pear-shaped body. Abdominal fat contributes to insulin resistance, wreaking havoc with your blood sugar levels. 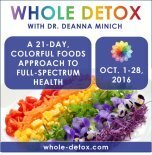 It can also produce excess androgens (male hormones) and estrogen which is associated with increased risk of heart disease, breast cancer, uterine cancer, diabetes, kidney stones, hypertension, arthritis, polycystic ovary disease, urinary stress incontinence, gallstones, stroke, and sleep apnea. And for many women just thinking about food can make you gain weight at menopause. Weight gain and other menopause symptoms can be made worse by fluoride in your water. When you reach peri-menopause and menopause, your estrogen levels begin to fluctuate. And they can fluctuate wildly. 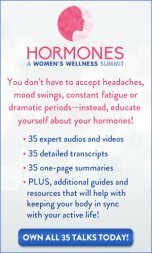 Estrogen inhibits certain hormones in the brain so when it's low, estrogen no longer inhibits that hormone and the imbalance in the brain can lead to depression. But when estrogen swings the other way and we have an excess, it throws our levels of copper and zinc out of whack. This leads to exaggerated stress reactions, serious mood swings and also depression. Either way, too little or too much estrogen puts you at risk of depression. But diet can help. Eating the wrong kind of food and not enough enough of the right foods can cause menopausal mood swings. The biggest health concern for menopausal women is heart disease. Cardiovascular disease is the number one killer of both men and women in the United States. It affects one in four Americans. The interesting thing is that the rate of death from heart disease has been declining in the past 20 years. That's the good news. The bad news is that it's only declining in men. For women, heart attack deaths have been increasing. Our bones change as we go through menopause. Bone loss starts in our 30s and accelerates for a few years around peri-menopause and menopause, but then slows down again. Osteoporosis is also another of those menopause symptoms that is not natural to the aging process. It's a disease of modern lifestyles. In traditional cultures eating traditional foods, osteoporosis is unknown. As estrogen drops, skin, hair, and nails lose elasticity and become thin. This leads to wrinkles, dry skin, dark spots, and tired looking skin. Balancing your hormones and eating right can turn it all around and take years off your appearance. Click here to learn how beauty sleep is a sure-fire remedy. The symptoms of menopause are no less than messages from your soul. They signal the unhealthy habits and relationships that you've been putting up with for years. These menopause symptoms force us to look inward and see, sometimes for the first time or with new eyes, our relationships to others, to food, to work, to society, and to our own spirit. Do these relationships serve our best interests or do we need to make changes? What menopause symptoms do you have? How do you deal with your menopause symptoms?